Bear and bare! See and sea! Time and thyme! Wait and weight. Wrote and rote. Doe and dough. Pea and pee. Steel and steal. My 4th grade teacher had a contest in her class to see who could come up with the longest list of homophones. Their, they're, there = one of my biggest pet peeves when reading things written by supposedly educated adults. 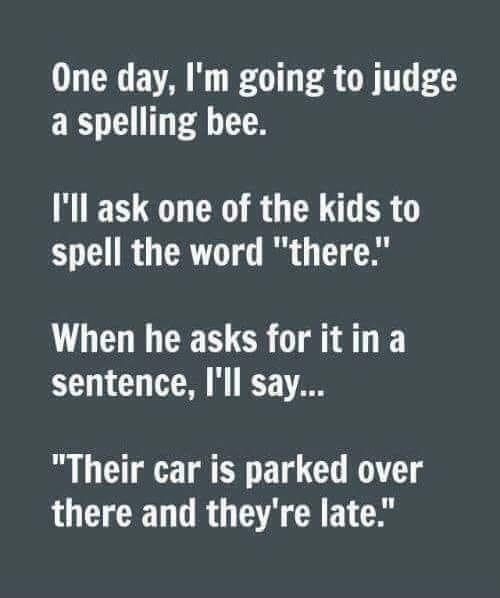 Especially in light of spell check. Fair and Fare. Wear and ware (and sometimes where depending on how folks pronounce it - lol). Hair and Hare. Tail and Tale - finally a pair that don't sound like (rhyme) with the others I listed. Oh, and Mail and Male. I was a first grade teacher so you know I had to wrestle with this all the time. Kid's could never believe how things were spelled. Made no sense to them and I have to say me either. i read this before and I 'll read this again. Plain and plane--just had the discussion about this with my kindergarten grandson! "But the sound the same!!!!" And then there are the ones that are spelled the same but the meaning depends on the context. like tear (rip) and tear (cry) or my favorite sewer(a person who sews) and sewer (part of a drainage system)? I always liked whether and weather.